I'm convinced, there's something in the water over in Sacramento, CA. Numerous creatives & dancers turned entrepreneurs have stemmed from streets of Sac! Certainly, this next #BallerinaInBusiness has staked her place & gives back to this creative community in countless ways. Meet Karina Johnson, founder of K JO Creative, a fine-art & graphic design studio that meets the needs of the community & beyond. Karina's love for the arts formed throughout her years dancing professionally, fulfilling her final years with Sacramento Ballet. However, near the end of her career, she felt a tug to explore other realms of art creation. 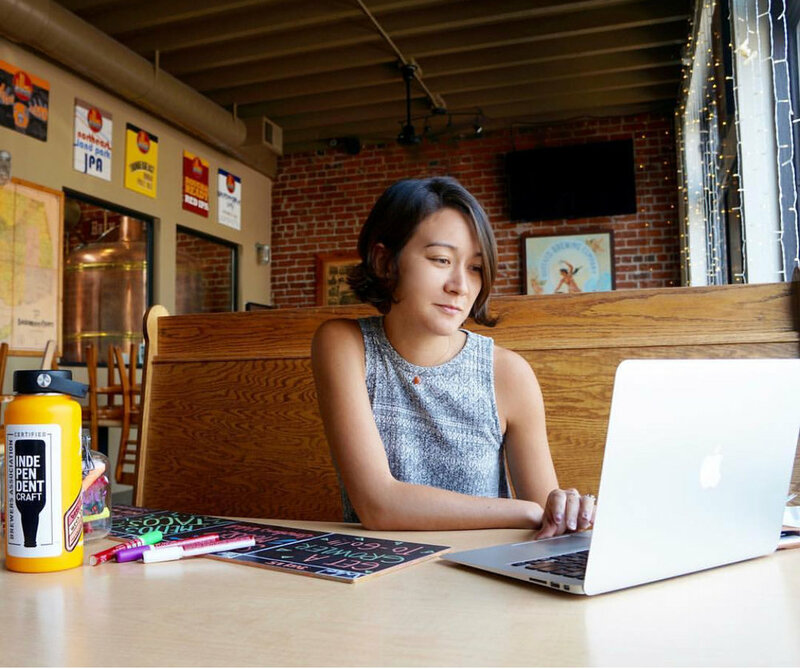 Continuing her education through Sacramento City College, Karina came upon Graphic Design courses & began exploring her artistry within the digital media capacity. Well, her skills came in handy when in 2015, a group of dancers from Sacramento Ballet founded The Capital Dance Project. Every summer dancers, choreographers, musicians, visual artists, & designers from Sacramento all come together to collaborate & put on a weekend of shows. Karina not only danced in the inaugural year, but created posters, program covers, & flyers to promote the weekend of performances. 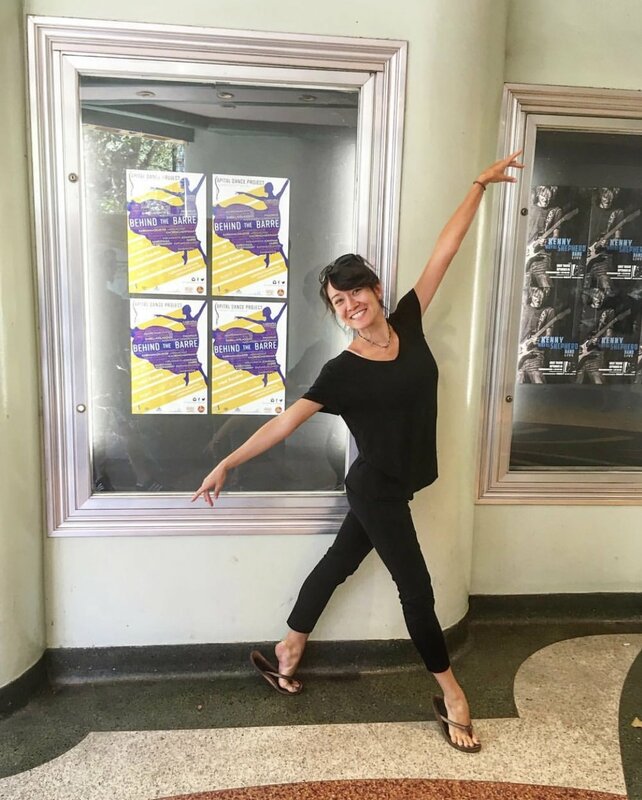 With each year, Karina continues to be involved in the Capital Dance Project, creating their public media and working behind the scenes to make it all happen! But her graphic design doesn't end there, Karina continues to create, making logos for many of her friend's who are also pursuing business ventures of their own. One of these should look oddly familiar! And if you had thought graphic design was all K JO Creative encompassed, wait til you feast your eyes on Karina's paintings. 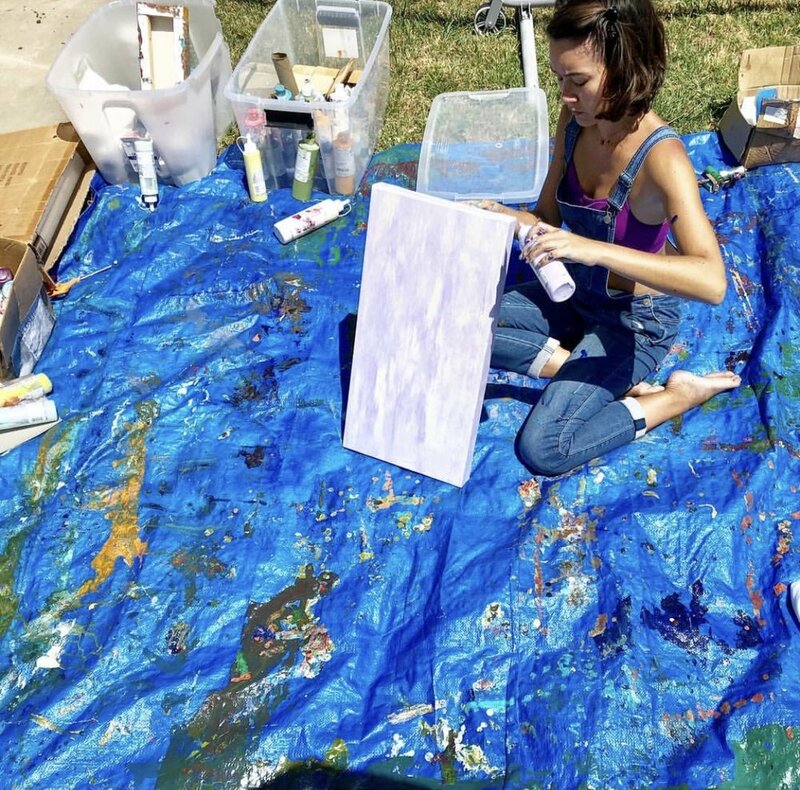 Using her backyard as a studio, Karina's acrylic work on canvas often represents her love for nature & travel. K JO Creative has hosted & partaken at a slew of Art Shows within Sacramento, some of which were held at: The Capital Dance Project's Makers Fest, Old Soul Co., & New Helvetia Brewing Company. In addition, Karina continues to offer her paintings for purchase on her website & frequently receives commissions as well! I am so proud to see all Karina has created & continues to explore within these varying realms of art. Fun fact: Karina & I grew up in the same hometown! I had the immense pleasure of looking up to Karina during some of our years of ballet training & brief time spent at the same High School where we were in dance together! To see how she impacts her community with her gifts greatly inspires me as I get to fan-girl over here and say, "I know her!" Like I mentioned, Sacramento has got something in the water! That's the ONLY hint I'm giving out to the next #BallerinaInBusiness in store for next week. Stay tuned!